Browse London Drugs Boxing Day 2017 deals. 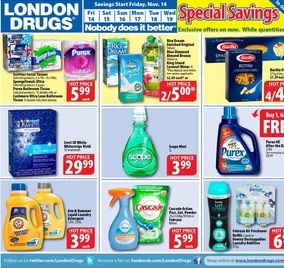 Get the London Drugs Boxing Day sales, flyer and hottest beauty products and toys deals – all in one place. London Drugs is a chain of Canadian retail stores which sells a numerous number of electronics, pharmaceuticals, health/beauty, photofinishing, insurance services, furniture, toys, and housewares, with a limited selection of grocery items. Shop from the comfort of home and you will find competitive prices on the latest London Drugs products – all in one place on yflyers.com. 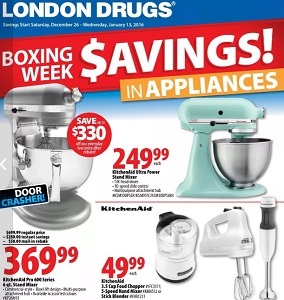 View our leaked copy of the London Drugs 2017 Boxing Day flyer – we post all the leaked Boxing Day flyers each year.